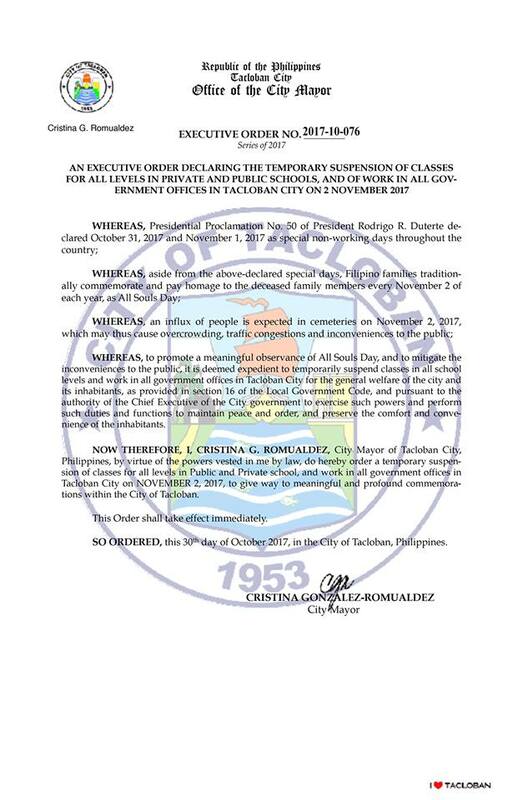 MANILA, Philippines - President Rodrigo Duterte's Proclamation No. 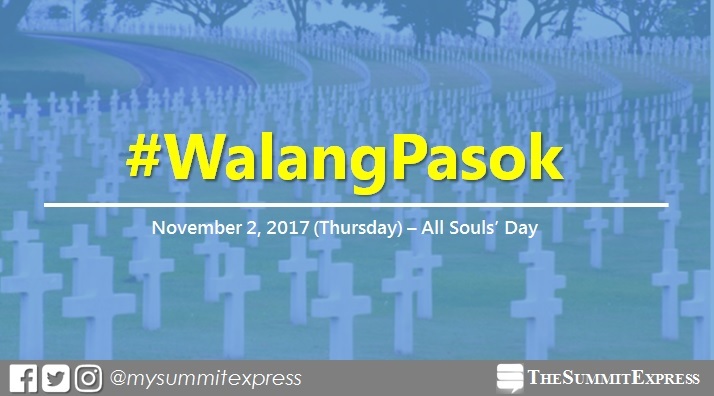 50 did not include November 2, 2017 as special (non-working) holiday throughout the country but some local government units and schools declared suspension of classes and work in observance of All Souls' Day. 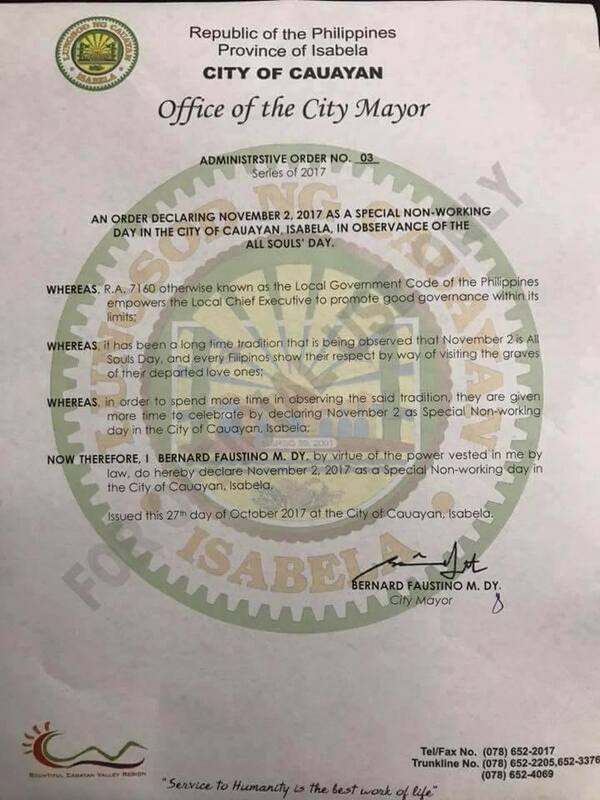 While October 31 and November 1 were declared holidays, at least two (2) LGUs said the additional holiday on November 2 will give more time in observing the tradition. Filipino families commemorate and pay homage to the deceased family members on All Souls' Day. On Monday, Cauayan City Mayor Bernard Faustino M. Dy released Administrative Order No. 03 citing a special non-working day on Thursday. Meanwhile, Tacloban Mayor Cristina Gonzalez Romualdez has issued Executive Order 2017-10-076 for the temporary suspension of classes for all levels in public and private schools and work in all government offices in Tacloban City on November 2. "As influx of people is expected at the cemeteries, the celebration may cause overcrowding, traffic congestion and inconvenience to the public," the local declaration said. Note: This is a developing story. Help us crowdsource class and work suspensions by sharing in the comments section or tweeting @mysummitexpress.